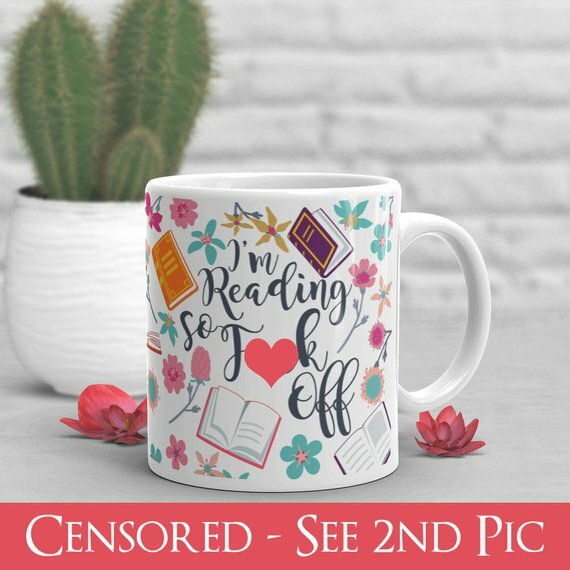 I found a few cute bookish gifts while browsing through the onslaught of catalogs that appear this time of year and thought I’d share a few items of interest. I don’t own any of these items and have not been paid or otherwise benifited in any way – just thought they were cute. Comfy and cute for reading on a cold, wintry night. See anything you like? Have a great place to you like to shop for bookish items? Let me know in the comments! The cat t-shirt 😂. Not only the saying, but the design they choose to illustrate the concept...just plain perfect, judging from your Figment tales LOL. The mini bookstore looks precious, but just think of the nightmare of DUSTING it. At my age, it's about finding things that are low maintenance LOL. That cat shirt made me laugh. I love cats! 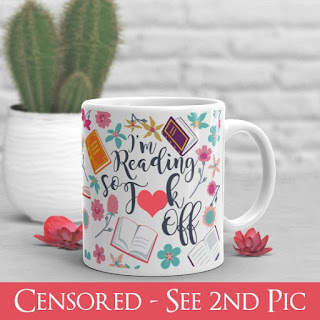 Yes to the eff off mug and the book leggings! A great selection, I have several friends who would love the cat t-shirt. I love the bookish clothes! I don't own nearly enough! I have a few cute t-shirts I picked up at ALA but that's it. Aww the mini bookstore is so cute! Ahahaha I love the mug. I wouldn't have the patience to build it myself but it is cute. ''I'm not hoarding if it's books'' I believe I've actually said that before at some point in my life Lol! Isn't it! I want it. These are great. I love the cat shirt, but definitely the it's not hoarding if it's books. That describes me very well. ;) Those tights are adorable, and I could go for some bookish comfy clothes this winter. :-) I do love bookish gifts! They are so fun. Out of Print Clothing is always a fun one. Oh! I just looked them up - great stuff. I LOVE that mug but it breaks my heart that I could never take it to work! Hehe - probably NSFW for most places. I need the cat t-shirt and the f*ck off mug. I need them lots.